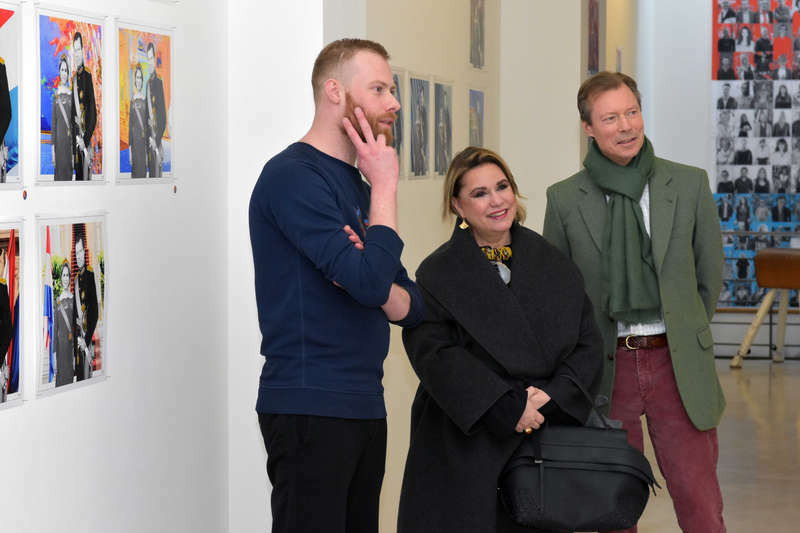 The Grand Duke is back in his realm and together with his lovely wife, the Grand Duchess, he visited an exhibition by Jacques Schneider yesterday to celebrate their 37th wedding anniversary. The couple tied the knot on Valentine's Day in 1981 - see our look back here - and the exhibition by Luxembourgish artists Schneider marks their 37 years together with 37 portraits of the Grand Duke and Grand Duchess. The cour has an additional photo of the visit.